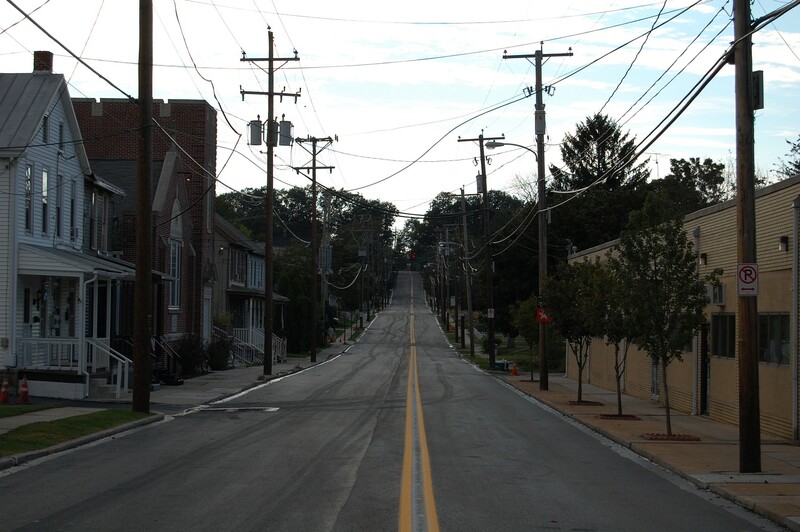 The photographer is standing on West Middle Street (Route 116), looking towards Seminary Ridge in the background. This view was taken facing west at approximately 5:50 PM on Wednesday, August 31, 2011. 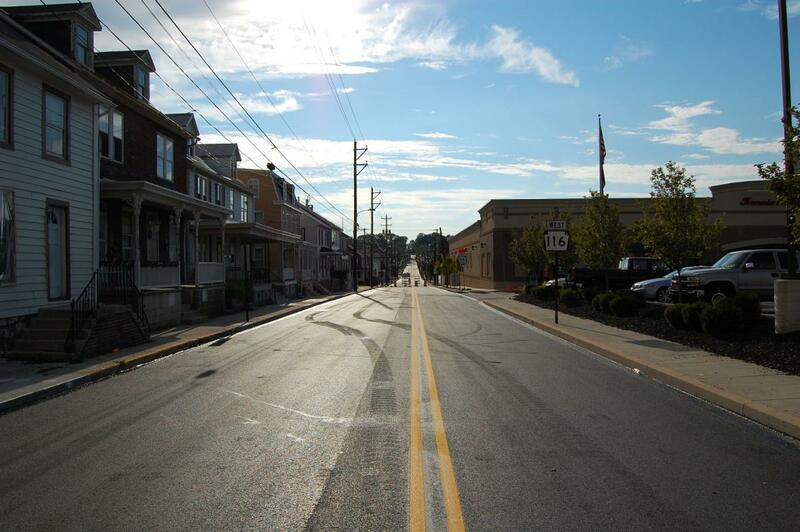 West Middle Street (Route 116) in Gettysburg is scheduled to re-open on Sunday, September 4th. Previously, the project was delayed due to piping concerns, which have since been resolved. We’ve now turned around from our first picture and are looking east down a freshly paved and lined Middle Street. This view was taken facing east at approximately 5:50 PM on Wednesday, August 31, 2011. 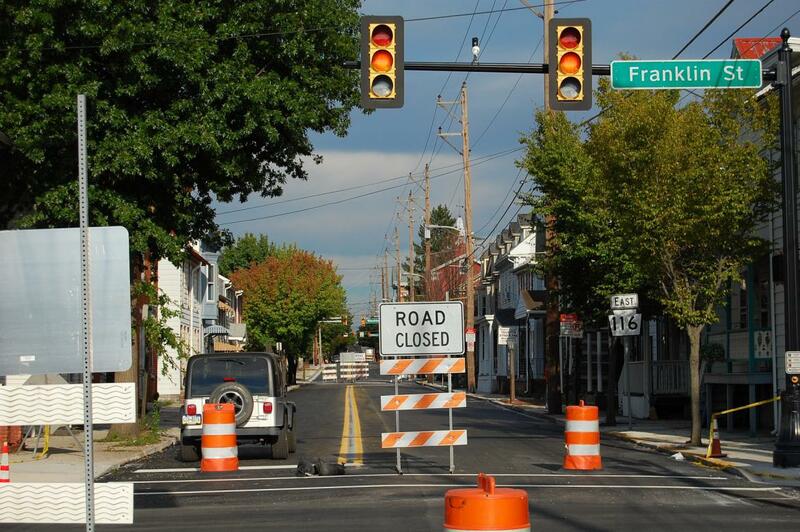 The closing of the roadway has caused numerous traffic delays in Gettysburg, especially when many of the cross-streets that intersect with Middle Street were also closed during the construction. Kennie’s Market is in the right-hand portion of this photo. This view was taken facing west at approximately 5:50 PM on Wednesday, August 31, 2011. 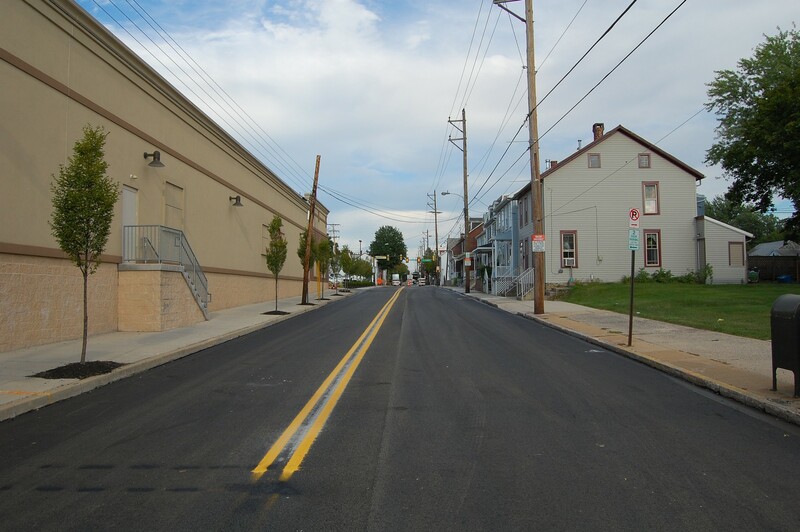 We are now looking east again — paving has almost reached Baltimore Street in the far center background of this photo. This view was taken facing east at approximately 5:50 PM on Wednesday, August 31, 2011. 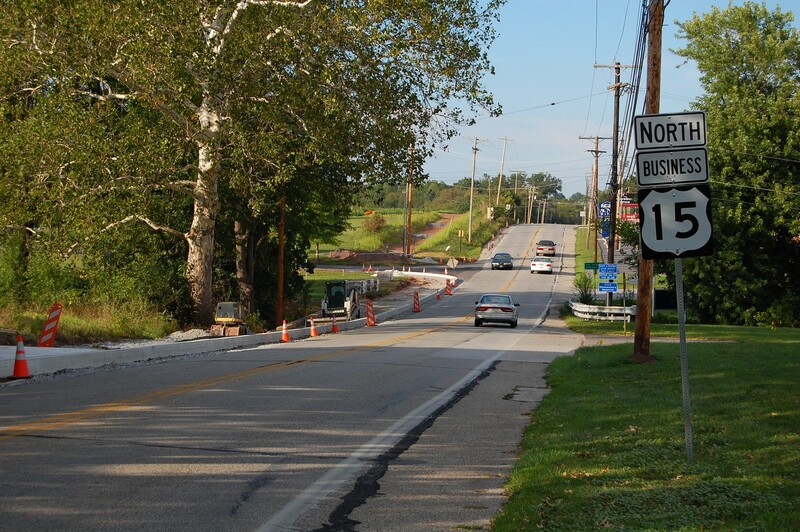 In other construction-related news, progress continues on the North Gettysburg Trail project. 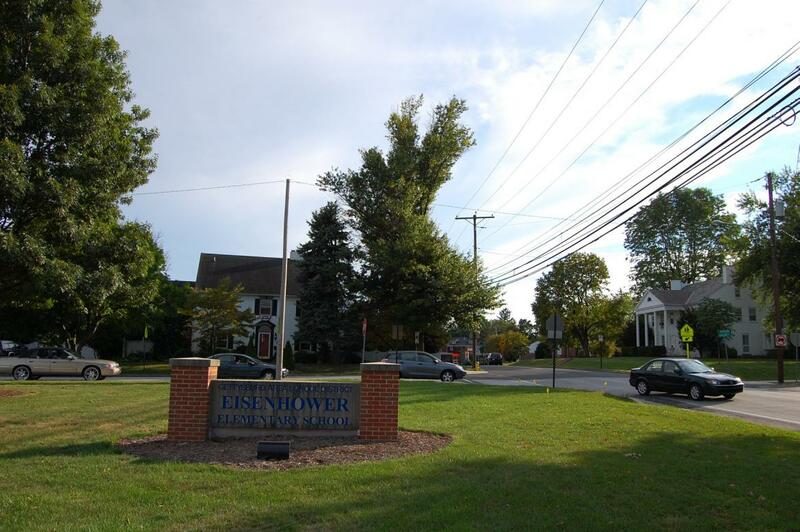 The photographer is currently standing on the property of the Eisenhower Building (formerly Eisenhower Elementary School). We’ll turn to the right … This view was facing southwest at approximately 5:50 PM on Wednesday, August 31, 2011. 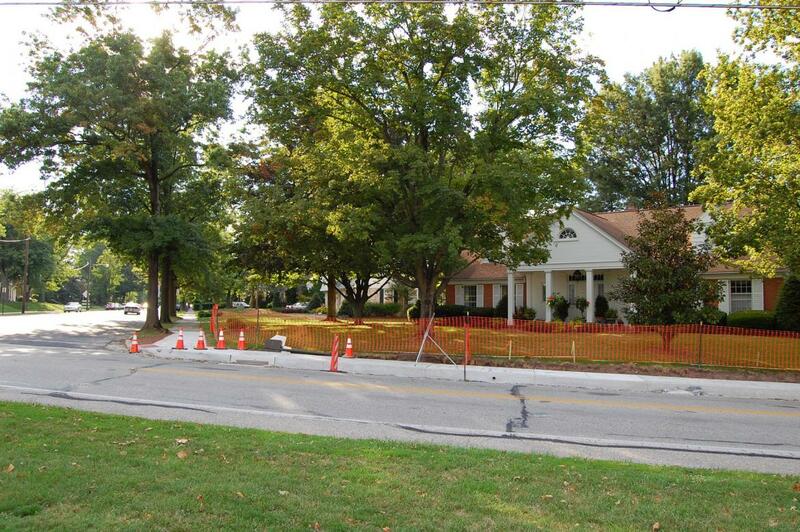 … And notice that the sidewalk on East Broadway (left-hand side of this photograph) has been extended along the Old Harrisburg Road (foreground). This view was facing west at approximately 5:50 PM on Wednesday, August 31, 2011. This view was facing southwest at approximately 5:50 PM on Wednesday, August 31, 2011. 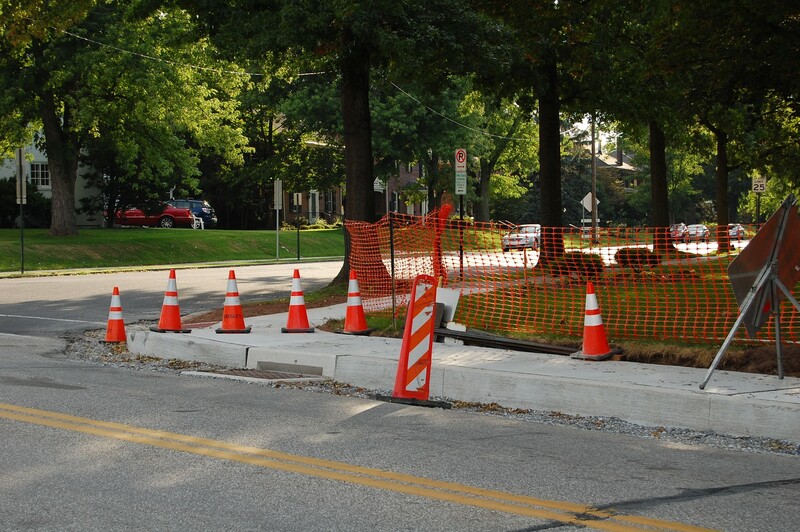 The trail will link the Gettysburg Area High School and residential communities north of Gettysburg with the Borough of Gettysburg, and it is projected to finish this month. This view was taken facing northeast at approximately 5:50 PM on Wednesday, August 31, 2011.